We know how complicated is to open an account when you are a foreign. 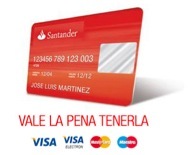 That is why we partner with Santander Universidades to allow you all the discounts and promotions with a FREE and SECURE Card for your semester in Uruguay. Just fill the next form and you can pick up your Ucard within 48 hs.